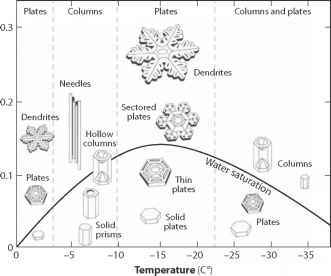 The albedo of snow in a climate model grid cell is portrayed in a variety of ways by different models. For example, some models use a simplistic approach, assuming that snow covers an entire grid cell while others have snow fraction as a function of the water equivalent depth of snow and vegetation type. Here, we categorize and evaluate snow albedo parameteriza-tions that are commonly used in climate simulations. The Atmospheric Model Intercomparison Project (AMIP) is an ideal venue to evaluate and compare climate models (Gates, 1992). Over thirty model runs were submitted to the first phase of AMIP (AMIP-1) by an international array of climate modeling groups. In the AMIP models, snow albedo parameterizations range from constant, prescribed values (different values are used by various modeling groups) to more physically-based spectrally dependent values that vary non-linearly as a function of temperature (as a proxy for grain growth), snow age, depth, and direct/diffuse solar irradiance. For clarity, we group the albedo parameterizations into two categories: constant and varying. The varying parameterization is that of Marshall (1989), which is currently used in the NCAR Land Surface Model (LSM) Version 1.0 (Bonan, 1996). This investigation is not meant to evaluate all snow albedo parameteriza-tions used in climate models. Parameterizations exist that are more sophisticated than the constant albedo, but less physically-based than the Marshall parameterization. For example, Verseghy (1991) and Loth et al. (1993) parameterize snow albedo is a function of time but not grain size. These parameterizations are not considered in this analysis.